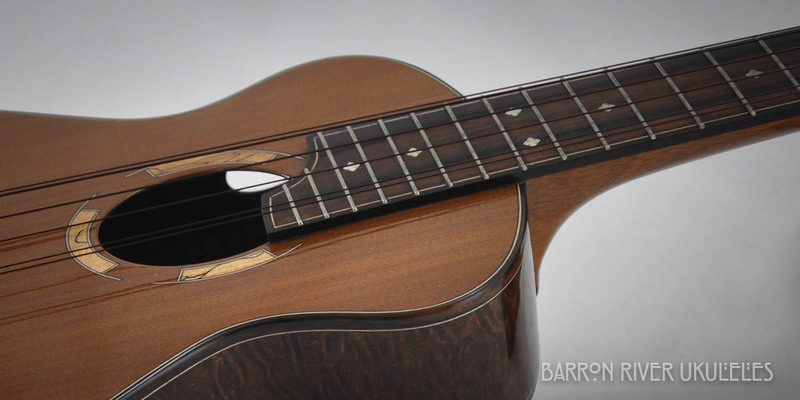 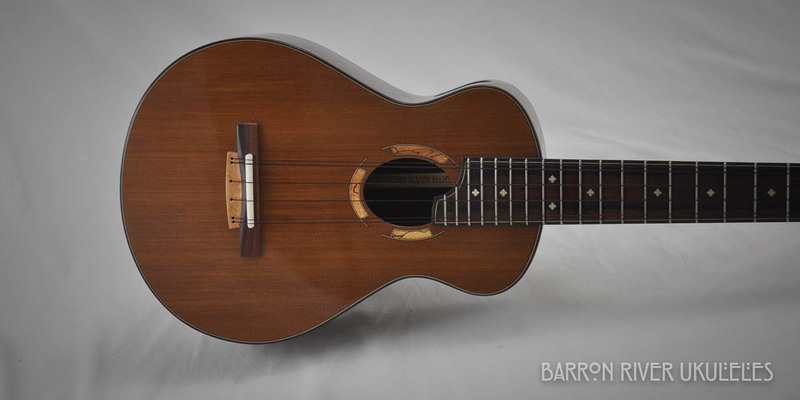 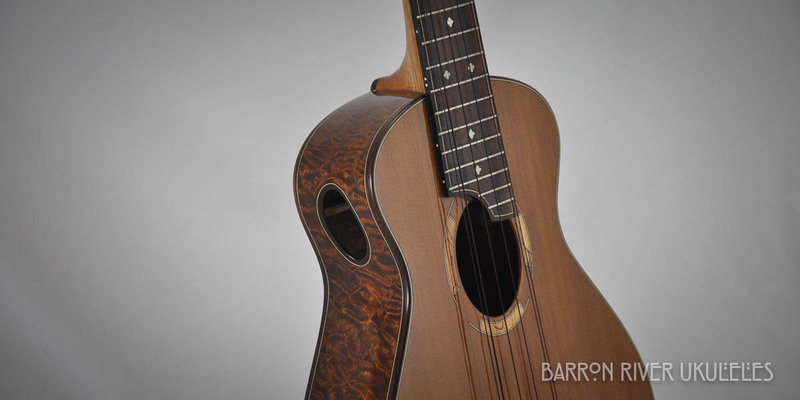 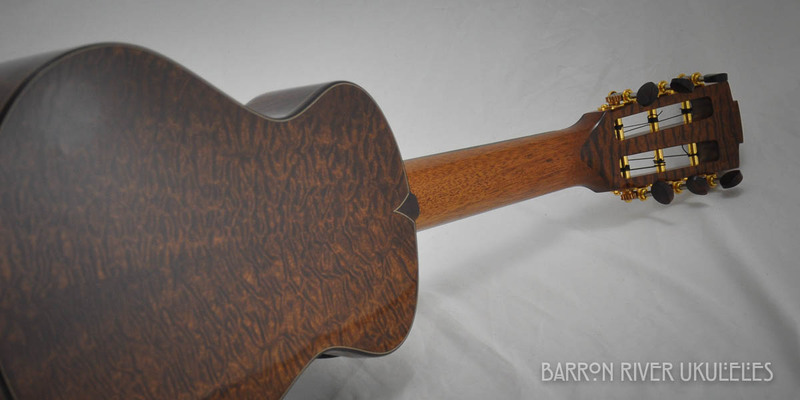 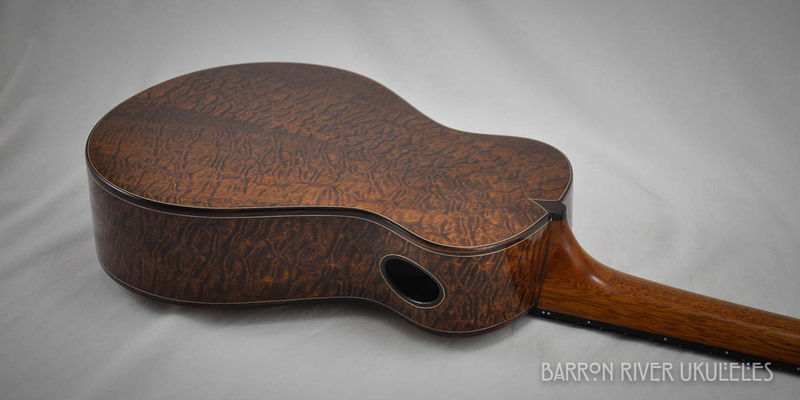 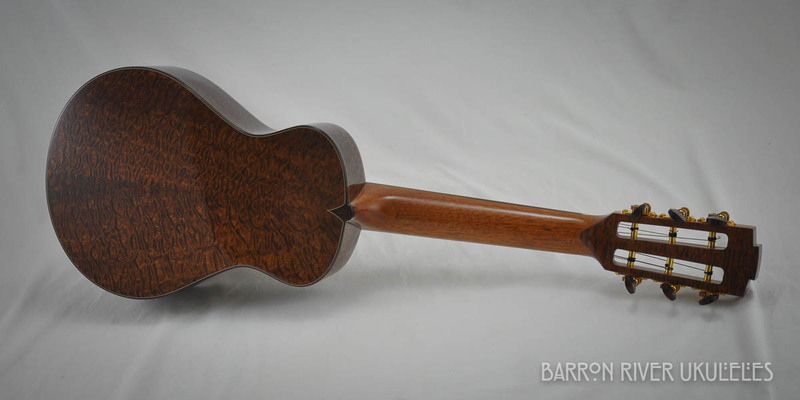 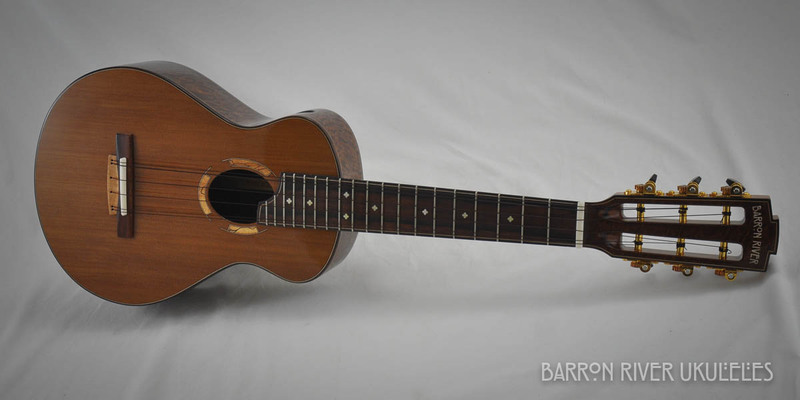 Very unique Sapele with a chocolate brown Cedar soundboard. 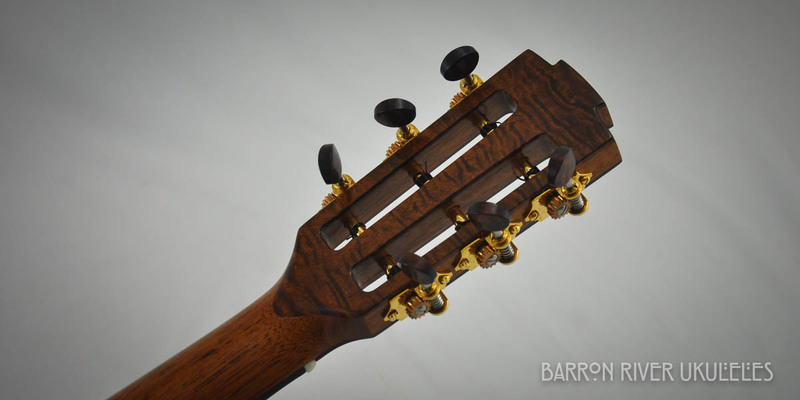 I've used a Macasar ebony fret board, Waverly tuners with Snake Wood buttons. 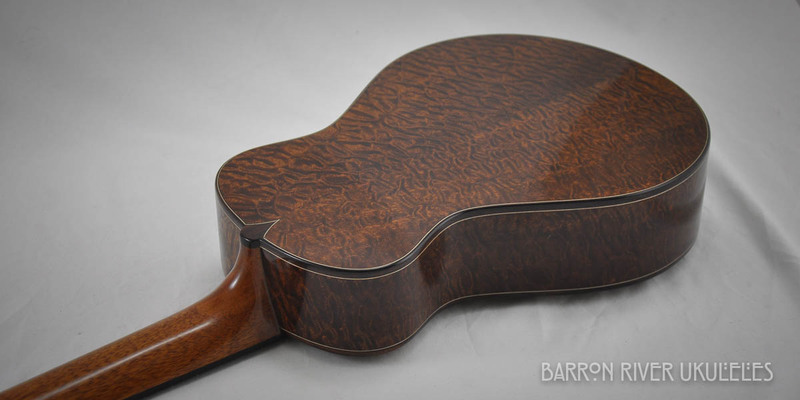 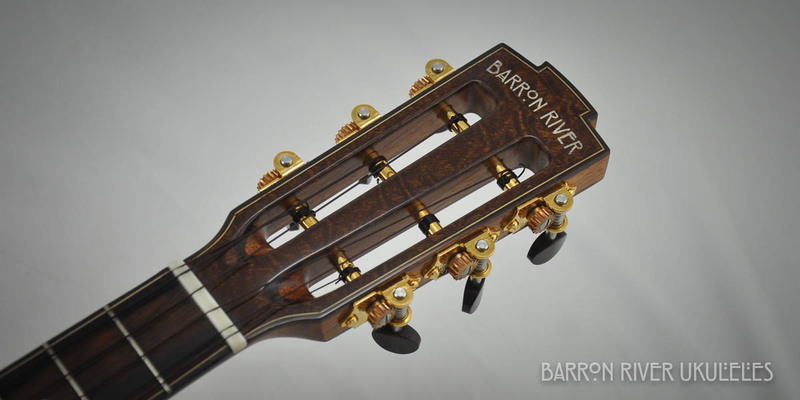 Bound with Indian Rosewood and finished in a high gloss lacquer.